Apple has released iOS 8.1.1 today, focusing on bug fixes and, most notably, performance improvements on A5-powered devices. As we reported earlier this month, iOS 8.1.1 fixes lingering performance issues on devices like the iPhone 4s, iPad 2, and iPad mini, all of which run on Apple’s dual-core A5 SoC. Degraded app performance and longer load times were two of many complaints lobbed against the iOS 8.1 update released in late October. 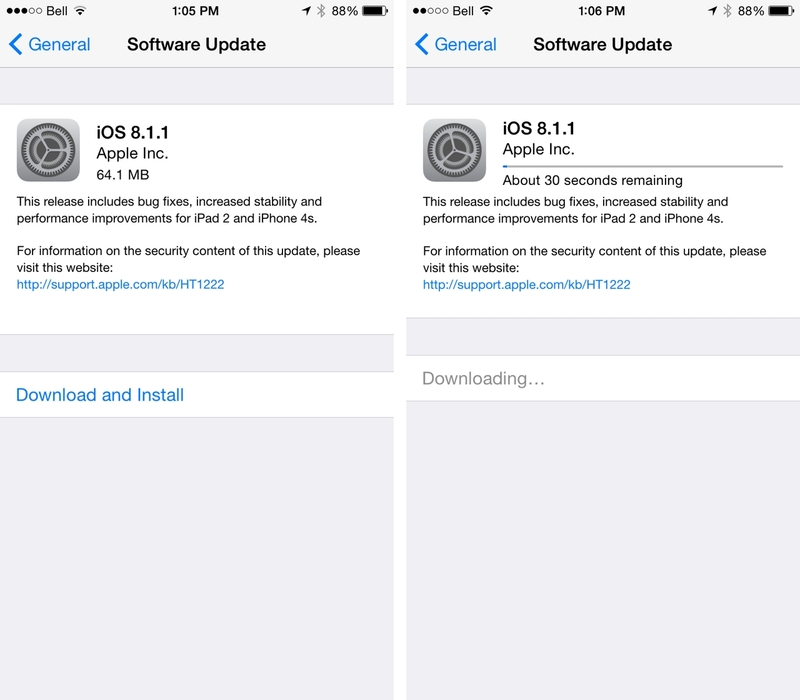 The update, which is around 64MB depending on the device being upgraded, is available as an OTA update for all devices compatible with iOS 8.